A special meeting of Powell City Council was called on Tuesday to discuss the resolution that would put a proposed increase of the city’s income tax from 0.75 percent to 1.15 percent on the November ballot. The meeting was held in order to give Powell residents another opportunity for their opinions to be heard. However, and as has been the case previously, few residents showed up to speak on the potential ballot measure. But while there wasn’t much public opinion to be heard, passionate debate from council members was plentiful and showed dissension among the group. In January, an 18-person committee was organized to review the city’s finances and make suggestions on future capital improvements. Named the Citizens Financial Review Task Force, the group presented its findings in June to city council. What the committee found was that the city had been relying on newly-constructed, developer-built infrastructure. With the infrastructure being new, the city had never had to allocate much money toward maintaining that infrastructure. Not only had the issue never really been a concern to the city, the appropriate money was never budgeted for future repairs. Factors such as the rapid growth of Powell, along with the elimination of the estate tax and the Local Government Fund, contributed to what Richard Cline, the chairman of the task force, called a “shortfall” in the city’s budget for eventual repairs. As the three subcommittees — Capital Needs, Revenues and Expenditures — conducted their research, a conclusion was reached that the city would need to generate an additional $2 million in revenue in order to fund repairs in the years to come. Different options were discussed, including a 4 percent cut in every city department. However, only one option discussed would generate the $2 million the task force deemed necessary: an increase in the city income tax. Currently, Powell’s income tax rate is among the lowest in the entire state, and the task force was unanimous in proposing the tax increase. In addition to the tax increase, the ballot measure would also include an increase in the tax credit for those who work outside of Powell and must pay taxes to the city in which they work as well, as well as a “75/25” mandate that would require no less than 25 percent of the tax revenue to be used on infrastructure repairs. 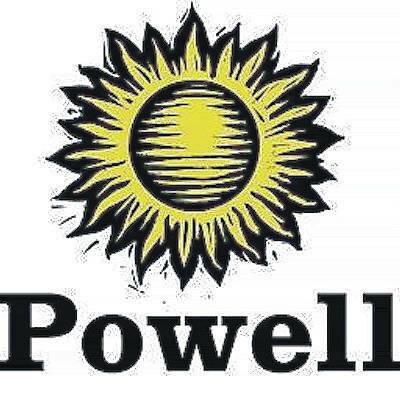 The tax credit for those working outside of Powell would move from 0.25 percent to 0.50 percent. One local resident who did show up to speak voiced his concerns for those who work outside of Powell, particularly in Columbus, where they already must pay most of the capital’s 2.5 percent income tax, as well as potentially having the tax rate at home raised. The resident talked about the community sharing an equal burden moving forward, asking council to consider possibly moving the tax credit for Powell residents working in other cities to 100 percent and, in turn, increasing the income tax to a rate that is in line with the rest of central Ohio, which mostly has a tax rate between 2.0 and 2.5 percent. Councilman Frank Bertone acknowledged the concern as a valid point, but also said, “There is no appetite” from Powell residents for such a considerable increase in the tax rate, citing the 2010 ballot measure that failed miserably. He went on to adamantly state his belief that the resolution, as it is currently proposed, is the best solution for the city, and that it is past time to take action on the ever-increasing issue of infrastructure repairs. Mayor Jon Bennehoof echoed Bertone’s skepticism of the community’s willingness to vote in favor of the substantial rate increase, pointing out that other cities in central Ohio with higher tax rates arrived at those rates with incremental increases. Vice Mayor Tom Counts began the discussion among council by urging council members to speak up if they had any concerns or wishes to modify the proposal in any way, in order to ensure there would be a vote at the next council meeting. August 8 is the deadline for all items that will appear on the Nov. 6 ballot. Councilman Daniel Swartwout said the tax credit concerns deserved to be analyzed more closely and questioned the need to push this resolution through with haste in order to get it on the fall ballot, citing the lack of time between the meeting and the potential vote the following week to really discuss all options and concerns. Powell City Council will meet again at 7:30 p.m. on Tuesday, Aug. 7, in the council chambers located at 47 Hall St.